Early March found me on the Blood and Peigan Reserves in Alberta working with the Blackfoot people. 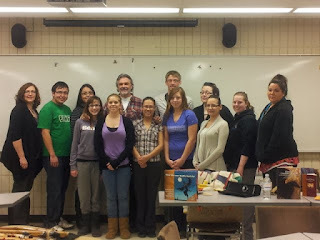 From there I traveled to Saskatchewan where I spoke to the SUNTEP programme (picture attached) SUNTEP: Saskatchewan Urban Native Teacher Education Programme at the University of Regina and onto the First Nations University of Canada. My focus is clear: reading is the one weapon needed to succeed in education. Aboriginal people do not read because they have not been included in books and because the books that are age appropriate are not accessible to them. 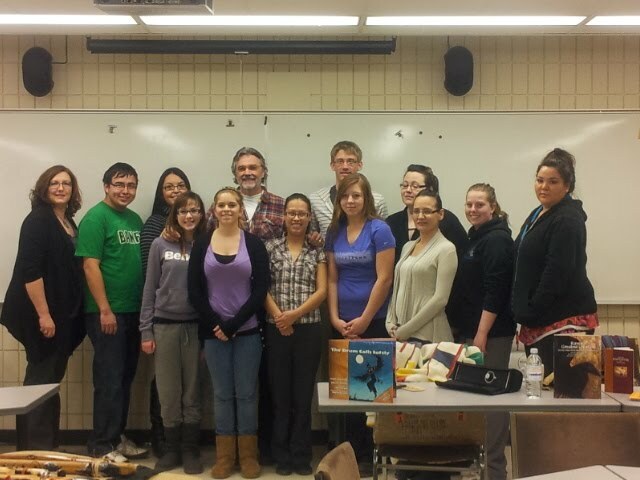 That is changing and now, reading has to become a focus in our Aboriginal communities.